In this April 10, 2018, file photo, Saudi Arabia Crown Prince Mohammed bin Salman poses before a meeting with French President Emmanuel Macron at the Elysee Palace in Paris. 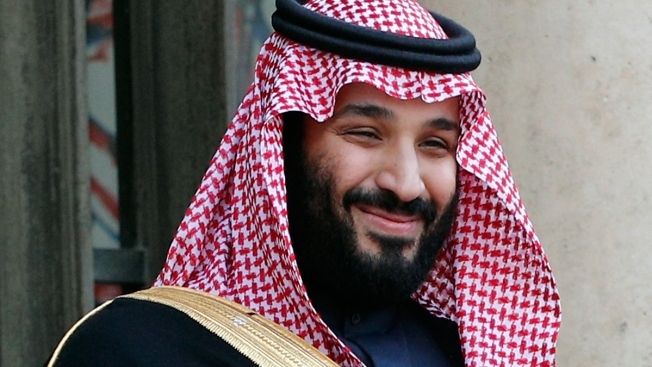 As every country across the Mideast does with its leaders, it's hard to escape posters and laudatory fawning over Saudi Crown Prince Mohammed bin Salman in the kingdom. EDITOR'S NOTE — Jon Gambrell, acting Gulf news director for The Associated Press, has reported from each of the Gulf Cooperation Council countries, Iran and other locations across the world since joining the AP in 2006.